As 2015 winds down, we’re thinking a bit about what we’ve done this year and a bit about what we plan to accomplish going forward. Here are some highlights, upcoming events, interesting reads, enjoy and watches. When it’s dark and rainy (every day now? ), we invite you to settle in and enjoy! Paid Family + Medical Leave Update | Resources + Progress! Required Reading | Articles and books, oh my! Become A Member | Help us make it a great 2016! 1 | Sick Days Is Coming in 2016! Starting January 1, 2016, Oregon’s new sick time law takes effect. We are very pleased to have such a strong policy to help working Oregonians handle routine illness and get preventive health care without losing needed pay or their jobs. You can learn the details of the new law and figure out how it affects you on Family Forward Oregon’s website. We want to be sure people know a few things about the law that might not seem obvious: 1) sick time can be used by people seeking help in a domestic violence situation, and 2) sick time can be used for parental leave. Of course this is in addition to the standard purposes of sick time: recovering from illness, seeing a doctor, caring for a sick family member. We encourage you to take a few minutes to understand this new law so that you and others in your networks can use it as intended! Check out our Oregon Sick Days 101 overview right here. Also, employers can attend a training hosted by the state Bureau of Labor & Industries — here’s the schedule and place to register. Raise The Wage Hearing in Salem: Be part of something BIG! On January 14th, we’ll be in Salem with our friends at the Raise the Wage campaign to ask our state legislators to raise the state’s minimum wage. “Like” their Facebook event page so you stay current as this important lobby day nears. Dial in from wherever you are to learn from a real expert — Sherry Leiwant of A Better Balance — about your rights in the workplace as a family caregiver. Be sure to register so you have a dial-in number and PIN! In the meantime, check out the book she helped publish for new parents navigating their rights in the workplace. We are really excited to be taking on this very loved community run from our friends at another non-profit that closed its doors. 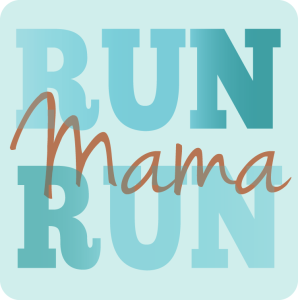 On May 8th, 2016 we’ll be hosting the 8th Annual Run Mama Run in beautiful Mt. Tabor Park in SE Portland. Registration is already open and early-bird pricing lasts through January 3rd. You can register here and “like” the run’s Facebook page here. 3 | Paid Family + Medical Leave Update | Resources + Progress! You’ve probably noticed that the local and national conversation about paid family leave is really picking up. Which is great! It seems that every week another employer makes national news by adding or extending a paid family leave program for its employees. In Oregon, our largest city and county added paid parental leave programs for their employees this fall. And both the Portland City Council and the Multnomah County Commissioners made clear that approaching this problem employer by employer is not the answer; rather a statewide program that includes all Oregon workers is the right, equitable approach. We put together a short list of resources on the topic recently and hope you’ll peruse it and share what you find with friends and family. Got an experience to share about paid family leave? We want to hear it! Just record it as a Voice Memo on your phone and email it to us or just plain email us and we’ll get in touch! Ashnie Butler awaits your email at ashnie@familyforward.org. Thanks! Paid family + medical leave with Andrea Paluso and Ellen Bravo of Family Values @ Work. Affordable childcare with Brigid Schulte of the New America Foundation. 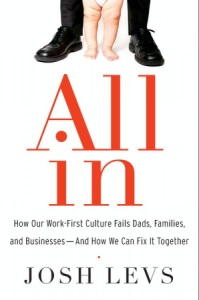 And a Book: All In: How Our Work Culture Fails Dads, Families, and Businesses – And How we Can Fix It Together by paternity leave activist and dad Josh Levs. 6 | Watch This: Two must-see videos for you, one that’s perfect for the kids, too! A powerful (and amusing) presentation by a mom making the case for paid family leave in the U.S.
A cute but very smart video about the wage gap featuring a kids’ lemonade stand. Show it to your kids then see what they say! 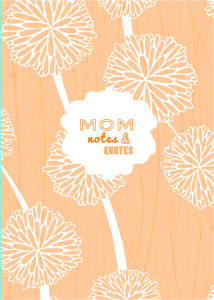 With the help of hundreds of Oregon moms, we put together a stylin’ purse-size notebook featuring Six Word Memoirs about motherhood by Oregon moms. If we do say so ourselves, there are some awesome quotes in there. Like this one by Governor Kate Brown: “Never underestimate cocoa’s power to heal,” or this one from Neighbors for Clean Air founder Mary Peveto: “Don’t make me stop the car.” They’re funny, they’re serious, they’re real. Grab a copy (or 5) in time for the holidays! 8 | Become A Member! Help us make it a great 2016! If you’re not yet a member of Family Forward Action, we invite you to change that stat! You can join at any level that suits you, but please do join. Why? Because the work we do isn’t free. And there’s a real window of opportunity to move forward with long overdue policies like paid family + medical leave, affordable childcare, higher wages, and more. We plan to make the most of this opportunity — and if you jump on board, we’re more likely to win. Just click here to join today! Think of it as a gift — to yourself and every Oregonian who struggles to make ends meet, especially at the intersection of work and family.